Our reputation in the market is largely attributable to our offered range of Bitumen Pressure Distributor. Widely use for applying a uniform coating of hot & emulsion Bitumen. We offer this pressure distributor in diverse finishes and stipulations, in compliance with details specified by customers. The offered pressure distributor is manufactured in accordance with market standards using optimum quality material and modern technology. Also, we offer this pressure distributor our valuable customers at competitive prices. 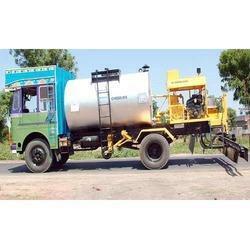 Looking for Bitumen Pressure Distributor ?